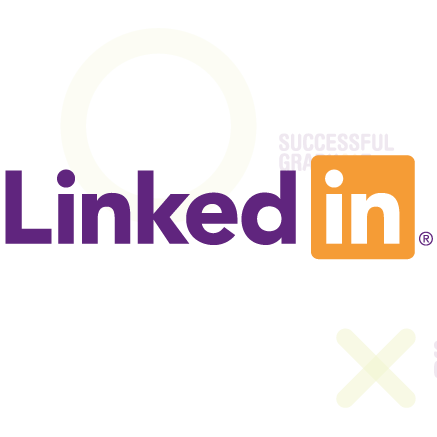 This is the first post on this month’s theme of social media and looks at how you can use LinkedIn to stand out amongst your peers. Linkedin for graduates is a particularly useful tool, as it can expose you to a network you would have otherwise never have known of, but if you aren’t careful, you could hide yourself from opportunities. Quick question. How well do you use social media? I have a feeling the majority of you reading this are good or great at it. You know how to tailor your content to get your audience (usually friends and family) to respond, you take great photos, you show the world this is who you are. How well are you using LinkedIn, though? I’d guess most of you either aren’t using the platform, or aren’t using it well. I ask the question because for better or worse, LinkedIn is social media, or at least semi-social media. A lot of the characteristics that make up Twitter and Facebook are also part of LinkedIn, and just as those two platforms can help or hinder your job search (learn more about how that happens and sign up today), LinkedIn can get you in front of prospective employers and starting your career sooner than you think. But just having a profile doesn’t mean you’re attracting your future coworkers. You need to be using the platform correctly and inviting them to want to learn more about you. The very first thing anyone will ever see of your LinkedIn profile is your photo. It is quite literally top and centre of your profile page. We’ve covered appearance a few times, but it’s important to remember: you need to look neat and presentable at all times. Like it or not, recruiters and employers judge a book by its cover and when your cover is in tatters, they don’t assume you’re well read. Make sure your hair is groomed and you’re wearing a business shirt or blouse and preferably a jacket. Look directly at the camera and… smile. Smiling is one of the areas Anna and I discuss in our member’s only LinkedIn special pod (subscribe to learn more) and it is a really easy fix that tells people you are warm and welcoming. People are more likely to engage with you and perceived you as someone who will engage back. This is particularly important, as there is a growing trend for young professionals to take a “serious” profile photo. I believe this is trying to emulate profile photos of business leaders such as Steve Jobs, but it’s important to recognise, you aren’t the CEO of Apple. You’re a graduate. Another often looked over part of the profile pic is making sure your face fills as much of it as possible. This is important because on mobile views when searching, it’s difficult to make out every discernible feature. A torso or full body shot makes it even harder. Another really easy way to stand out on LinkedIn is to take advantage of the custom URL feature. If you are fortunate enough to have a unique name like me, chances are your name will still available as a custom URL. If not, consider a variation of your initials. If it’s possible, also try to aim for consistency across your professional profiles. 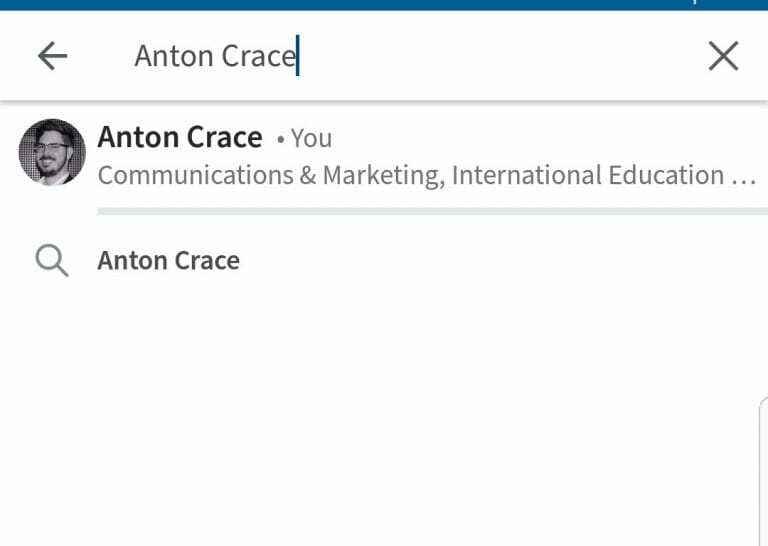 I’ve managed to score “antoncrace” for my Twitter, Instagram, Facebook and LinkedIn profiles, which means it’s super easy for any potential clients or employers to find me. Always remember: a career and a job are two different things. You aren’t your job and you aren’t defined by it. Your career, however, is what defines you professionally. With that in mind, if you currently work at a fast food restaurant (there is no shame in that, by the way. I have a very long rant available for anyone who wants to use the “McDonald’s excuse” for lack of employability skills) you don’t need to put that in your headline. As you can see from my profile, I’ve listed Communications, Marketing and International Education in my headline. Simple. It tells everyone what fields I’m good at and in what industry I work. My actual job titles, which include journalist and marketing development manager among other things, are available in the professional experience section of my profile if someone wants to see them, but they are markers in my career. They are not the first things I want people to associate with me. In the same way, you should be thinking about what you want people to know about you. You can even write “Looking for X job” in your headline if you want, you just need to think about what is the number one thing you want people to know about you. If this process sounds familiar to you, by the way, it should. It’s a variation of elevator pitching, covered here. LinkedIn is a useful tool for graduates, but you need to use it right. This post has only scratched the surface on what you should be doing to maximise your employment success, but as there are so many graduates and other professionals out there getting these points wrong, getting them right will make you stand out from the rest. To find out more about how social media can help you land your first job, sign up to Successful Graduate now.